El ministro de Deportes, licenciado Danilo Díaz Vizcaíno, hizo un llamado a los atletas dominicanos para que imiten al pelotero de Grandes Ligas Nelson Cruz, quien desarrolla una serie de acciones sociales a favor de diferentes sectores de su natal comunidad Las Matas de Santa Cruz de Monte Cristi. The Mariners arrived to their hotel at 5am in NYC after finishing their last game of the homestand. That same day Nelson Cruz was invited to visit St. Mary’s Childrens Hospital in Bayside, Queens thru Kids for Kids, a local non-profit. When Cruz learned of the invitation and who he would be visiting, all he asked was "what time do you want me there”. The Sisters of the Community of St. Mary founded in 1870 St Mary’s Childrens Hospital in Manhattan where it was moved to Bayside, Queens in 1951. St. Mary’s currently cares for a large group of children of all ages with medical complex conditions and is New York City’s only post-acute care facility for children. Regardless of the disability, injury or trauma, Nelson found a way to communicate with each patient. It was a beautiful warm sunny afternoon on Monday, but it was a special day for Nelson Cruz who got to meet and spend time with the kids at St. Marys Childrens Hospital. He acknowledges how fortunate he has been, how much the game of baseball has given him, and that he always learns something new from children. He will cherish this New York experience a little different, as it didn’t happen at Yankee Stadium in the Bronx, it happened in a quiet residential neighborhood in Bayside, Queens. Nelson committed to make a donation to the hospital form his non-profit. SEATTLE -- Baseball has been good to Nelson Cruz. He's living the good life as a Major Leaguer. The Mariners' cleanup hitter, however, has not forgotten the reality of life back home in the Dominican Republic. And Cruz is committed to helping as best he can to make things better for his fellow Dominicans. 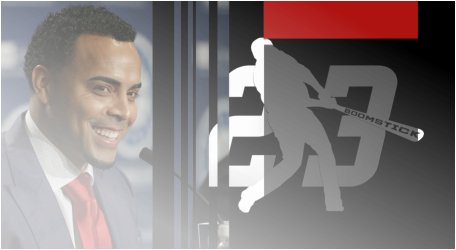 Nelson Cruz, a native of Las Matas de Santa Cruz, Dominican Republic ,is an international superstar. Some of his best work, however, is not on a baseball diamond, but away from the spotlight supporting causes close to his heart. Nelson Cruz is helping the Seattle Fire Department in their quest to win a $10,000 grant from the Medic One Foundation.